The property is located on the south side of Reigate High Street at its western end and close to Marks & Spencer Food Store, Morrisons Supermarket and Priory Park (see plan overleaf). The premises are about 600 yards from Reigate station, within 100 yards of the Nutley Lane public car park, and about 2 miles from access onto the M25 at the top of Reigate Hill (Junction 8). Gatwick Airport is about 7 miles to the south. 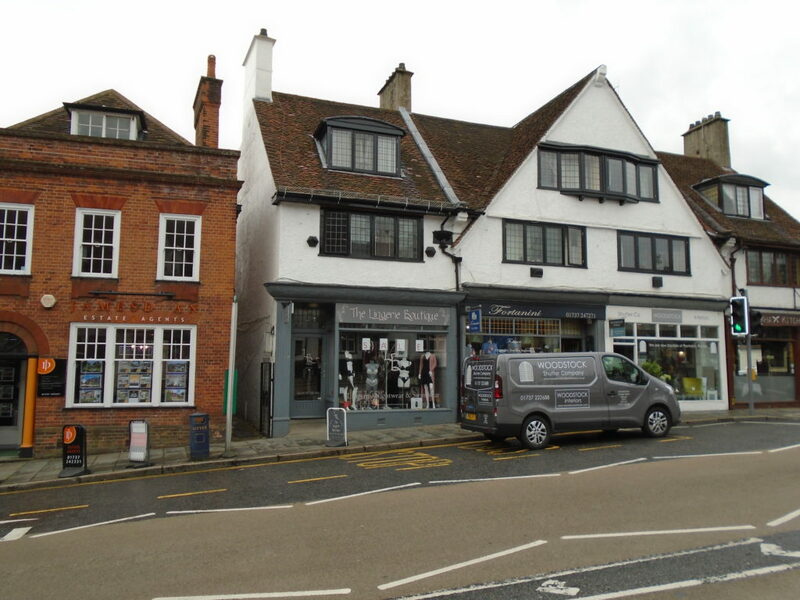 The premises (currently The Lingerie Boutique) comprise a ground floor lock up shop with small basement in a three storey end terraced building of rendered brick construction under a pitched tiled roof with front dormer and leaded light windows. The upper maisonette at 69a has a separate access from the rear service road off Park Lane. The shop is well presented with mains services connected and a modern gas fired central heating system with panel radiators. The basement store room/office has been tanked and dry lined in recent years. An energy performance certificate with rating of D was obtained in 2014. New 10 year internal repairing and insuring lease with rent review at the end of year 5 inside the Landlord and Tenant Act 1954.